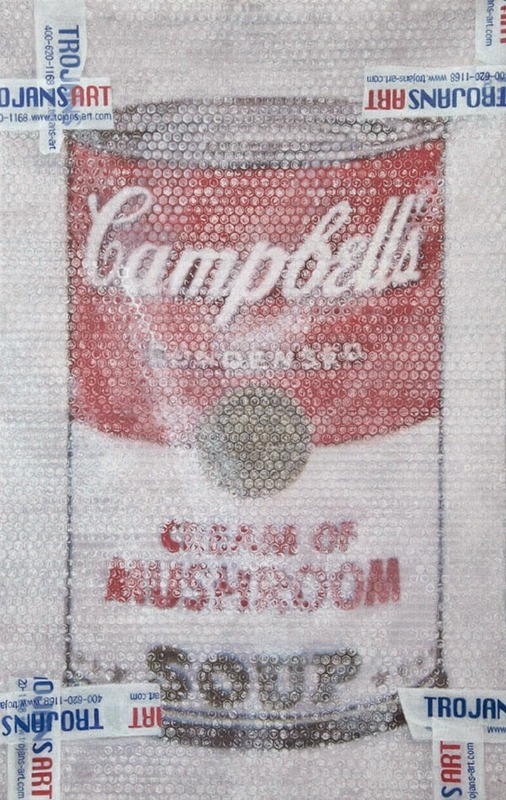 A series of paintings that looks like the works of Andy Warhol obscured by bubble wrap. 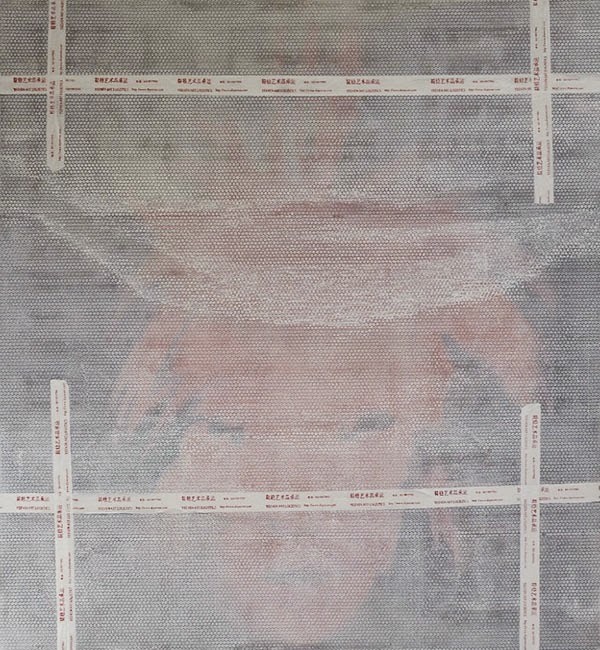 The paintings which challenges individuality and authenticity are meant to be an illusion. 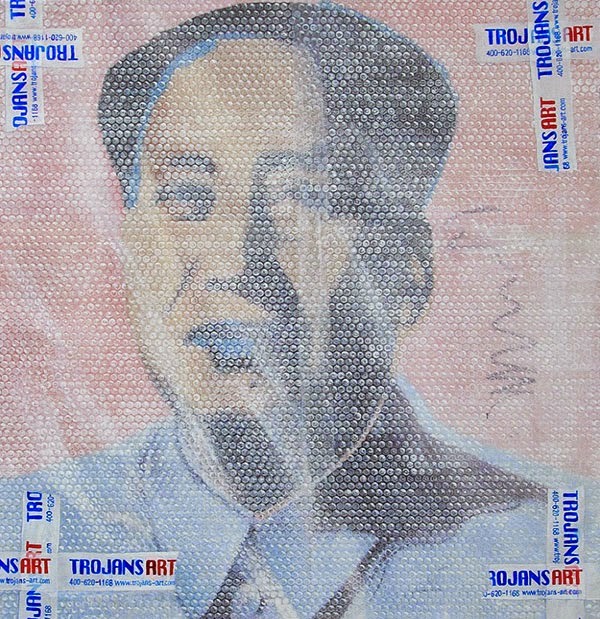 Shen paints these semi-transparent layers of bubble wrap, along with details such as packing tape, to make it look like the art is ready for transport. The pieces are also presented leaning against the wall of the gallery adding to the effect of an exhibition being installed. 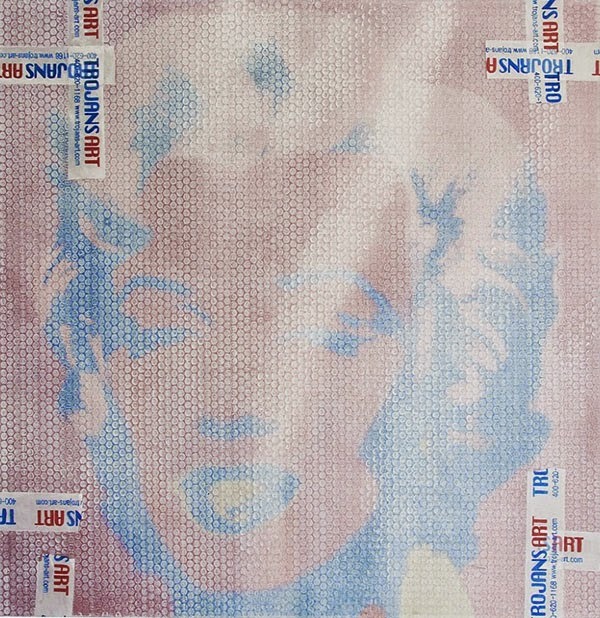 On view at Klein Sun Gallery Mar. 7 – May 2.